COUNTDOWN TO SHUTDOWN – HERE WE GO AGAIN: With another possible partial government shutdown looming at week’s end, both sides seem to agree on one thing: They are far apart on funding President Trump’s border wall … Bipartisan compromise talks on funding for President Trump’s proposed border wall have completely broken down, sources tell Fox News. Lawmakers must pass legislation on government funding by February 15 or face the possibility of shutting down the government again. 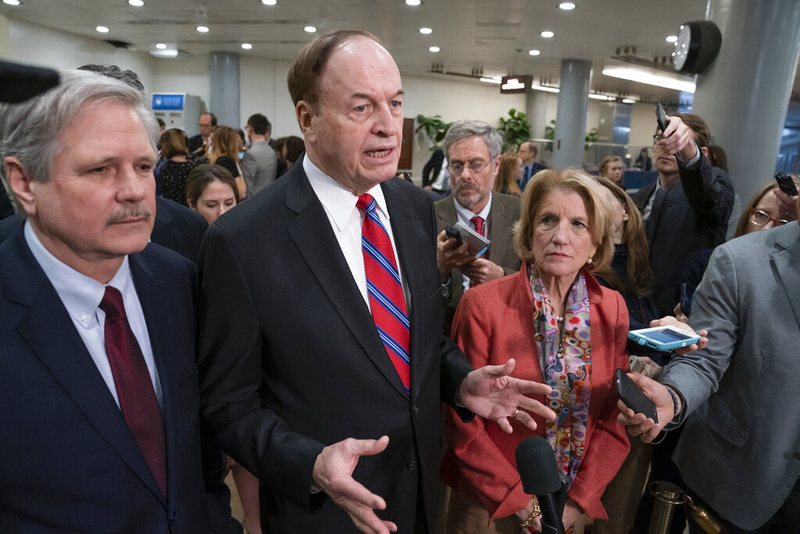 Late last month, the White House agreed to a temporary spending bill to end a historic 35-day government shutdown, although Trump said at the time that the move was not a “concession” and that he would not relent on his demands for a wall. The stall in negotiations raises the possibility that Trump will declare a national emergency to access previously appropriated funds to initiate construction on a border wall. Acting Chief of Staff Mick Mulvaney told “Fox News Sunday” that other ways of funding may be available to build the wall without an emergency declaration. However, Mulvaney said, declaring a national emergency remains an option for the president and a wall will be built, one way or another, with or without Congress. FAIRFAX FACING INCREASING PRESSURE, NORTHAM VOWS TO STAY: Facing two allegations of sexual assault, Virginia Lt. Gov. Justin Fairfax is facing increasing pressure to resign as Democratic legislators on Sunday circulated a draft resolution to start impeachment proceedings against him … Meanwhile, in an interview with CBS News, embattled Virginia Democratic Gov. Ralph Northam vowed to remain in office because “there’s no better person” to help the state “heal” from the multitude of scandalsrocking its leadership than a doctor like himself. In the same interview, Northam, whose medical school yearbook page featured one person in blackface and another in a KKK robe, suggested that Fairfax should resign if the two sexual-assault allegations leveled against him are proven true. He also suggested that the state’s Democratic attorney general, Mark Herring, should consider stepping aside because he admitted to dressing in blackface in college. FIELD OF DEMOCRATIC 2020 CHALLENGERS GROWS – AND TRUMP HAS FUN: Sen. Amy Klobuchar, D-Minn., became the latest Democrat to throw her hat in the ring for the 2020 presidential race – announcing on Sunday her candidacy during a speech in Minneapolis’ frigid and snowy Boom Island Park … Klobuchar, a moderate, Midwestern Democrat who has served in the Senate since 2007, highlighted in speech her ability to work across the aisle with Republicans and her “grit” as Democrats try to win back voters in a region that supported then-candidate Donald Trump in the 2016 race. Trump had some fun with Klobuchar’s announcement, finding humor in her vow to tackle climate change in a snowy, freezing park. FRESHMAN LAWMAKER IN TROUBLE AGAIN OVER ISRAEL COMMENTS: Rep. Ilhan Omar, D-Minn., sparked backlash Sunday evening from members of both parties — including former first daughter Chelsea Clinton and former U.S. ambassador to the U.N. Nikki Haley — after she accused American Israel Public Affairs Committee (AIPAC), a prominent lobbying group, of paying members of Congress to support Israel … Omar, who became the first Somali-American woman elected to Congress in November, responded to a Twitter post by journalist Glenn Greenwald criticizing House Minority Leader Kevin McCarthy, R-Calif., for threatening to take action against Omar and another freshman lawmaker, Rashida Tlaib, D-Mich., over allegedly anti-Semitic remarks. Greenwald accused McCarthy of targeting Omar and Tlaib for their numerous criticisms of Israel, to which Omar chimed in “It’s all about the Benjamins, baby,” quoting a 1997 rap song by Puff Daddy. Omar reportedly retweeted then deleted a Twitter post that accused her of anti-Semitism after the AIPAC controversy erupted. She sparked outrage a few weeks ago by comparing Israel to Iran and saying she “almost chuckle[s]” when the Jewish state is described as a democracy. While Musgraves’ win finished off the three-and-a-half-hour star-studded affair, host Alicia Keys set the tone for the show with a somewhat rambling opening speech about music being our “global language” before shocking the audience by bringing Michelle Obama, Lady Gaga, Jennifer Lopez and Jada Pinkett Smith on stage. 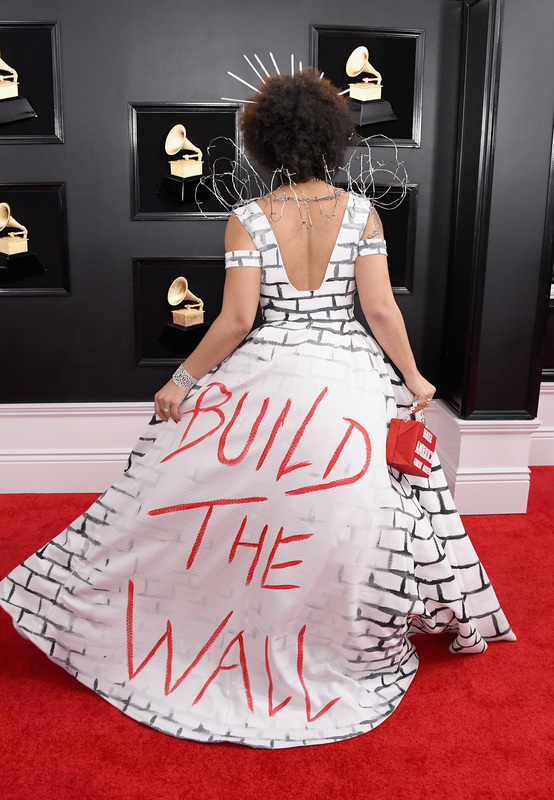 Joy Villa dresses as a border wall, Ricky Rebel rocks pro-Trump MAGA merch. Source of leaked Bezos texts was mistress’ pro-Trump brother: report. Hundreds of Southern Baptist leaders, volunteers accused of sexual misconduct in bombshell investigation. Walter Jones, longtime North Carolina congressman, dead at 76. Charlie Gasparino: Fox RSN sale grows more confusing as Angels owner eyes several networks. MLB’s Tropicana Field becomes first cashless stadium in North America. Jeff Bezos’s messy 2019 so far: Divorce, blackmail and an Amazon headquarters feud. Fox & Friends, 6 a.m. ET: Special guests include: Howie Carr, radio host, talks about Sen. Elizabeth Warren’s rocky rollout of her presidential campaign; Danny Ferguson, whose daughter was killed by an illegal immigrant, on President Trumo’s rally in El Paso, Texas; Dan Bongino, Fox News contributor; Stuart Varney, the host of “Varney & Co.,” talks about taxes; Andy McCarthy, Fox News contributor, talks about the Jeff Bezos-National Enquirer scandal; Tom Homan, Fox News contributor and former acting director of ICE, talks about immigration; Ethan Lindenberger, a teen who got vaccinated against parents’ wishes; Kellyanne Conway, counselor to President Trump; Michael Goodwin, New York Post columnist. Your World with Neil Cavuto, 4 p.m. ET: Special guests include: House Majority Leader Steny Hoyer, D-Md. The Story with Martha MacCallum, 7 p.m. ET: Special guests include: Former N.J. Gov. Chris Christie; U.S. Rep. Doug Collins, R-Ga.; Amy Chozick, New York Times reporter; Judge Andrew Napolitano, Fox News senior judicial analyst. Hannity, 9 p.m. ET: Don’t miss Sean Hannity’s live coverage of President Trump’s rally in El Paso, Texas. The Brian Kilmeade Show, 9 a.m. ET: Guests include: New York Post columnist Michael Goodwin on how the Democratic Party’s disastrous week last week highlights President Trump’s sanity. U.S. Sen Bill Cassidy, R-La., on shutdown negotiations; Charlie Hurt, opinion editor on the Washington Times, on shutdown talks; Charlie Hurt – shutdown talks, the latest in the 2020 presidential election; Howie Kurtz, host of “Media Buzz,” on the latest in the Jeff Bezos alleged blackmail scandal and the Grammys; Bret Baier on shutdown talks and the 2020 election. The Todd Starnes Show, Noon ET: Todd Starnes speaks with Emir Caner, president of Truett McConnell University, about President Trump’s pro-life stance and Dr. Robert Jeffress, senior pastor of First Baptist Church of Dallas, discusses New York State’s controversial new abortion law. 2012: Pop singer Whitney Houston, 48, is found dead in a hotel room bathtub in Beverly Hills, Calif.
1990: South African black activist Nelson Mandela is freed after 27 years in captivity. Fox News First is compiled by Fox News’ Bryan Robinson. Thank you for joining us! Have a good day! We’ll see you in your inbox first thing Tuesday morning.